The Pirtek Enduro Cup officially kicks off at the end of the week, with Prodrive Racing Australia having completed its pre-enduro final test day for 2016 last week. 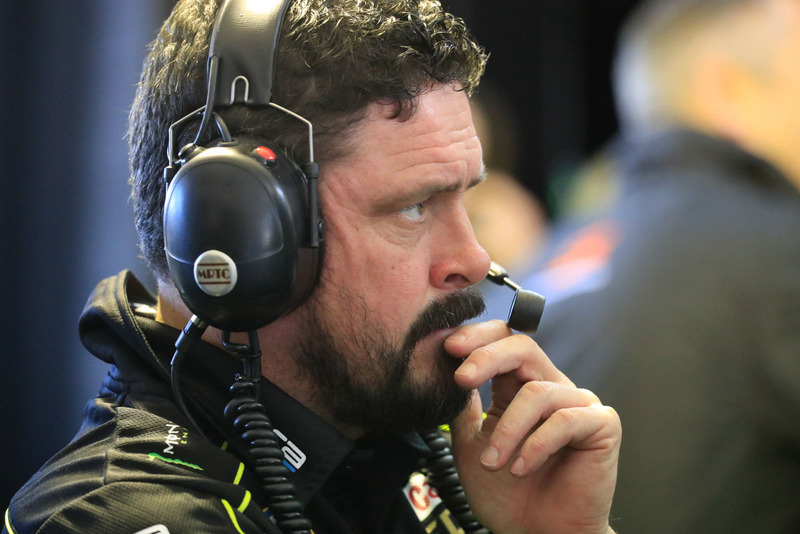 PRA team manager Chris O'Toole gave his views on the upcoming Wilson Security Sandown 500, which the team finished one-two last year with Mark Winterbottom/Steve Owen victorious and Chaz Mostert/Cameron Waters coming home second in 2015. PRA: Off the back of the enduro test day, what are your thoughts/expectations as we head into the three endurance events? CO: I think that the co-drivers are going to be a really strong asset for us. Deano (Dean Canto) is a bit of a plug and play driver really. He just turns up and drives, is really eager and he can do everything we want him to do, so from that side of things it's great. Steve, Jack, all of our co-drivers are the same. The pit stop practice went a lot better than even I expected. We were doing (brake) pad stops in 15 seconds and that's probably about seven seconds faster than it needs to be which is pretty good. They've been working hard down in the workshop with massive benefits so the pit crews are probably our second biggest strength, co-drivers being the first. We could make or break a race with how the pit crews go so I'm actually quite chuffed about that. With the actual testing itself we had a couple of things that didn't quite work out for us but we were able to identify and fix whatever we needed to fix so it was probably the most productive test we've had in about two years I think. We have four new pairings this year, but not necessarily new drivers, all with varying levels of experience. Based on what you've seen at events and at the test day, how well do you think they'll work together? Good. They're excellent. The unexpected surprise was Richie Stanaway. He's really good. I wasn't exactly sure how well he would adapt to the Supercar but he's right up to speed, he's fast, he listens and gives good input. He's on equal pairing with the guys that we've had long lasting relationships with. Jack will be fine. Jack's going to get a lot of miles across these weekends because we're running his Dunlop Series car and the main series car so he's going to get a hell of a lot of miles. As far as his career is concerned and getting him up to speed, it'll be a bit of a fast forward for him. 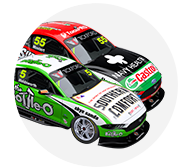 Based on the changes Supercars have made for Sandown this year (three CPS and soft tyres) how different is that going to make things for teams this year? Hugely different. The tyre thing is going to make it such a challenge for all of the teams. The consumption of rubber and the state of the track towards the end of the race is going to be quite a challenge for everybody. It's added a new dynamic that we haven't had to worry about before. The soft tyre thing is going to be a challenge. Will there be a different approach from the team in terms of how you run the pit stops? Traditionally we have seen in recent years that the co-driver has started the race. Do you think that will change? I don’t think so. I don't think the strategy will change because of the tyre. We've still got the same distance and we've still got similar fuel consumption. We're still going to have similar pit stop arrangements so I don't think strategy is going to change a hell of a lot. That being said I don't care who starts the race to be honest. I never have. Cam and Jack are the youngest driver pairing in the field. With that in mind, what is the message to them in the lead up to Sandown? Cam has been there quite a few times now and has started quite a few races there and at Bathurst too so with that in mind he's already got quite a bit of experience. The message will be the same as it is to everyone else which is, let's go out there and enjoy ourselves and be smart about everything we do and don't do any more than we have to because when you start to do more than what you have to and that's including the drivers, that's when mistakes get made. Stay tuned for part two of the Q&A with O'Toole.